A tech buff, virtualization-expert, and a social climber, Yoni Avital loves to interact with clients in order to understand the problems they face in business. He believes that virtualization is transitioning from the technology that drives server consolidation and datacenter operations to a key ingredient in creating a flexible, on-demand infrastructure. While there are multiple benefits in adopting virtualization, there is also another dimension of complexity involved. “On one hand, virtualization is getting much higher, broader, and is touching more aspects of the customer’s infrastructure. But on the other hand, the complexity and the level of expertise needed to manage the enterprise environment is becoming harder for the internal IT team,” says Yoni Avital, CTO, ControlUp. This led him co-found ControlUp, a super-console for desktop virtualization management. 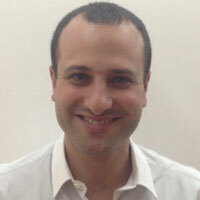 ControlUp, an Israel based company simplifies the day-to-day management of virtualized IT operation. “At ControlUp we fill in the gap between products and services by enabling customer to dynamically consume IT insights and knowledge without hiring experts for analysis. ControlUp’s customers not only get an excellent management and monitoring platform for their virtualized environment, this platform is constantly feeding them with relevant and personalized IT insights for their environment based on sophisticated big data analytics, our experts team knowledge and best practices and troubleshooting analysis,” states Avital. ControlUP is a strategic Technology Alliance Partner of VMware. , “Currently, we are growing our relationship with the VMware’s vExpert community, and harnessing it to bring dynamic expert knowledge and enable customers to consume it via ControlUp IT operation platform,” asserts Avital. “We constantly meet with the VMware experts and are working with quite a few V-experts, who are from the top community users,” he adds. ControlUp creates a continuous and searchable grid view of all Hosts, VMs users, sessions and processes in the environment, enabling rapid information gathering and a blazingly fast and finegrained control over user sessions and processes in RDS and virtual desktops in the enterprise. “At ControlUp we offer our customer a full visibility across the virtual platform, so that they can have full control of the virtualization platform. We combine between performance data from the virtualization layer with performance metrics from the VM guest OS to enable customer full clarity into its instant resource usage,” says Avital. “ControlUp also offer full management capabilities allowing for immediate remediation of issues found directly from within ControlUp, ”adds Avital. Provider of Real-time IT operations analytics and management solution.